Although I have always thought of the blog as a way to show my new designs and share my thoughts on designing and crochet in general, I realize that the world of crochet is changing, and I must change with it if I am going to survive as a designer. Pattern sales are down for most designers, myself included. 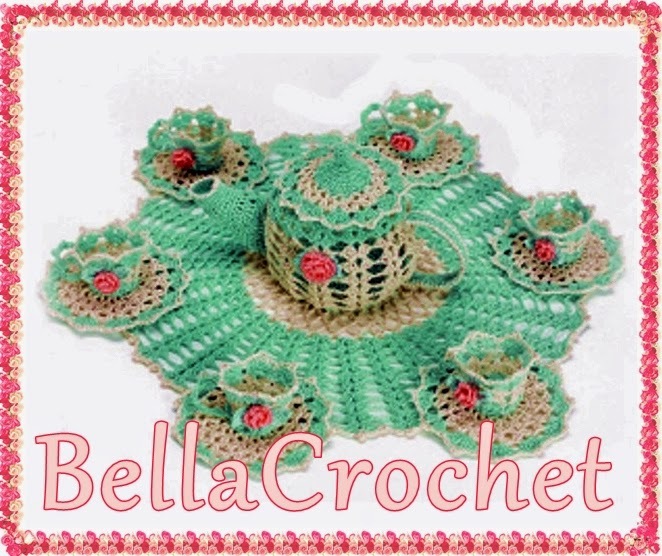 The internet, which makes it so easy to set up a crochet business and sell patterns directly to my wonderful customers, also makes it easy for those who would try to profit from the hard work of others. There are several foreign sites which have all of my patterns posted illegally for distribution, and they make money by running advertisements. These sites blatantly ignore all copyright laws, and I have been unable to get my patterns removed. I am not the only victim of these thieves, almost all of the large publishing companies and independent designers have been affected as well. So, I have come up with an idea. I have added advertisements to this blog, which will hopefully bring me some income. I get paid when someone clicks on an advertisement, so the more visitors I get, the better. I know most people really only visit this blog to get free patterns and to enter my contests, so those are the things I will be focusing on in the future. I will probably be doing a blog makeover, and adding a index to make searching for the free patterns easier as I add more of them. One thing I will not do is add so many ads and popups that it becomes distracting. I want you to always enjoy visiting the blog. So, I would like to ask for your help. 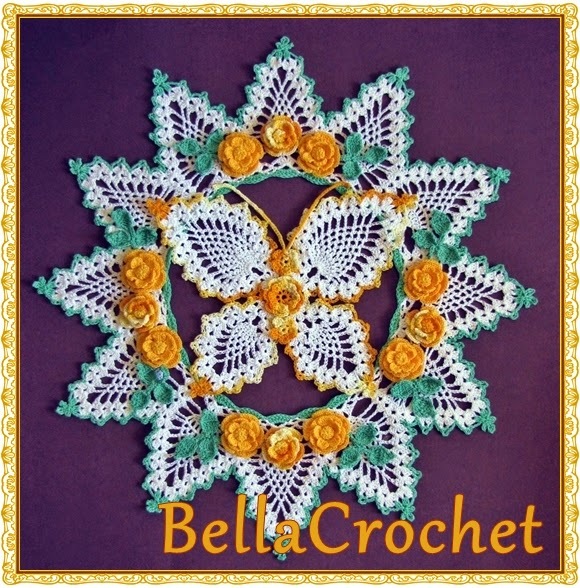 If you like one of my free patterns, would you please share the link to it with your friends? If you have any ideas for patterns (or types) of designs that you would like to see in the future, would you let me know? Since there are already thousands of free patterns for hats, cowls and scarves out there, I thought I would focus more on thread designs, but I would love to hear your suggestions. Do you have any questions on designing (or crocheting in general) that you would like to see a post on? I know I have a loyal group of folks who regularly read and comment on my blog. I want you to know that I appreciate each one of you. I have a long list of designs that I am anxious to make and share with you, and I hope you will enjoy them all! Girl these days it is so hard to t and makea living no matter what it is your doing. For me I come back to your blog whenever there is a posting regardless if it's for a free pattern or contest. I enjoy your blog. I'd love to hear about your workings and your life. I am looking for oval doilies they are far and between locating them. I saw the thanksgiving oval you just posted I may need to get that one for the holidays coming up. I enjoy your work and I always pay for what I want I do enjoy an occasional freebie. I did make the owl book markers you posted they turned out adorable. I enjoy reading your blog every time you post. 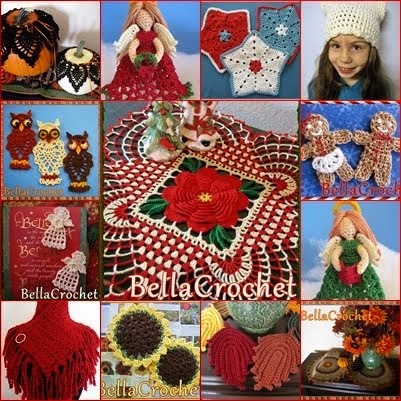 I love all your crochet designs and have purchased quite a few. I love all your thread doilies and your distinct style so I just look forward to seeing all of the new designs that you have lined up. Can't wait to see them! Please keep designing as you have a very special gift! Thank you, Sherri! I always look forward to seeing your comments. I love oval doilies, too, and you are right they are hard to find. I will definitely put them on my list of future designs! Thank you, Dianna! I plan to post more frequently in the future. I appreciate your support! Thank you, Kaylene! I don't think I could stop designing if I tried, it is too much of a part of me. I appreciate your kind words! I know I'm late in reading this but I just found your blog in May. I love your patterns and bought a few off your Etsy site. If it's something I want I'm willing to pay for it. Freebies are icing on the cake. I am very leery of buying from the internet and downloading free designs from the internet. I cannot follow diagrams and many free crochet patterns are diagrams. One lady does beautiful curtain edgings but they are either diagrams or in Spanish. I would order written patterns in English through PayPal but she doesn't offer them. I love your patterns and as I said "it's worth paying for" but I know some people think everything should be free. I tried selling crafts once and people think you should give it away like it's a garage sale. They don't consider the money I spent in supplies or that my time is valuable.